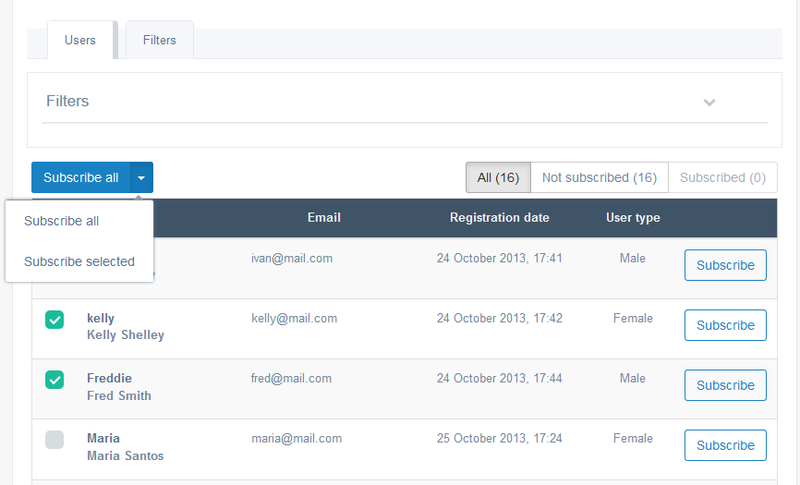 Mailing lists section controls the various subscriptions of your users. For example you can create a news/entertainment feed and manually subscribe the members to it. Or send a greeting/notifying message to all the website users. Click on the down chevron to expand the Filters menu. Subscription: Select the subscription you want to operate with. Users data: Sort the users if you need to. 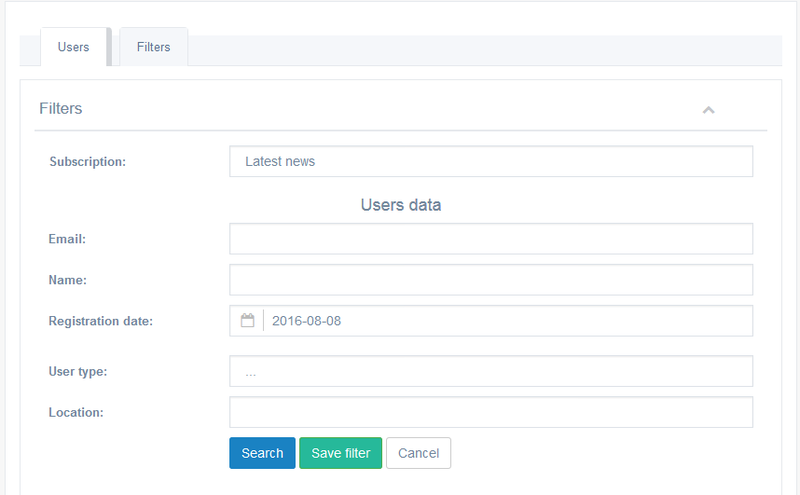 You can save the filter by clicking Save filter for quick access to the set of users. 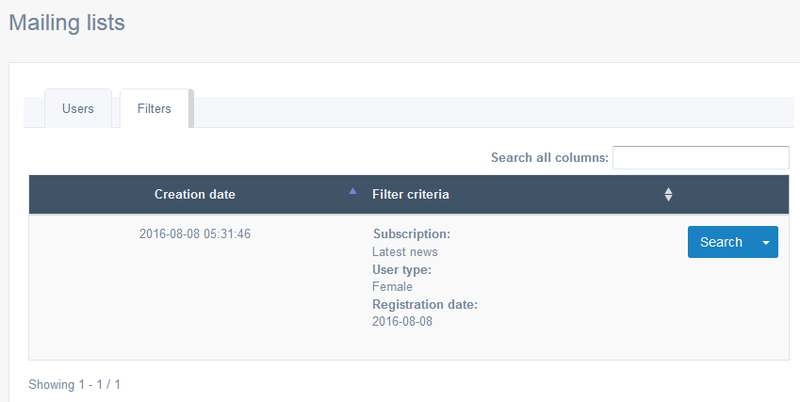 The saved search will be available at the Filters tab above the section.